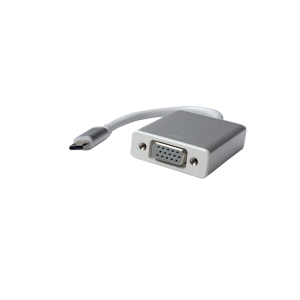 This USB Type-C to VGA converter is for mirroring your MacBook, Chromebook or any other USB type-C equipped computers, tablets to a VGA supported Projector or monitor for a large screen display by converting the USB video signal through a built-in chip. 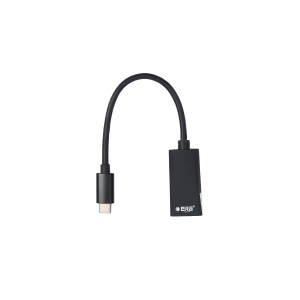 Support USB 3.1: Fool-Proof and reversible USB-C connector provides convenience to plug in either direction. 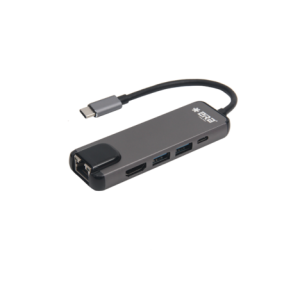 Support HD Video: The handy converter supports resolution up to 1080p (1920×1080 at 60 Hz) for full high definition video, which ensures clarity and detail when it comes to anything from gaming to watching movies. Superior conductivity & High Speed provides more stable signal transmission. Special Design & Finish: High-end anodizing aluminum case ensures durability, heat dissipation, EMI protection and well matches the Mac Style. Portable and Lightweight design makes it a convenient accessory for conference, presentation and more multi display operation expanding your workspace and boost the productivity. (Does not include the VGA cable). Plug & Play: No additional drivers or installation required.